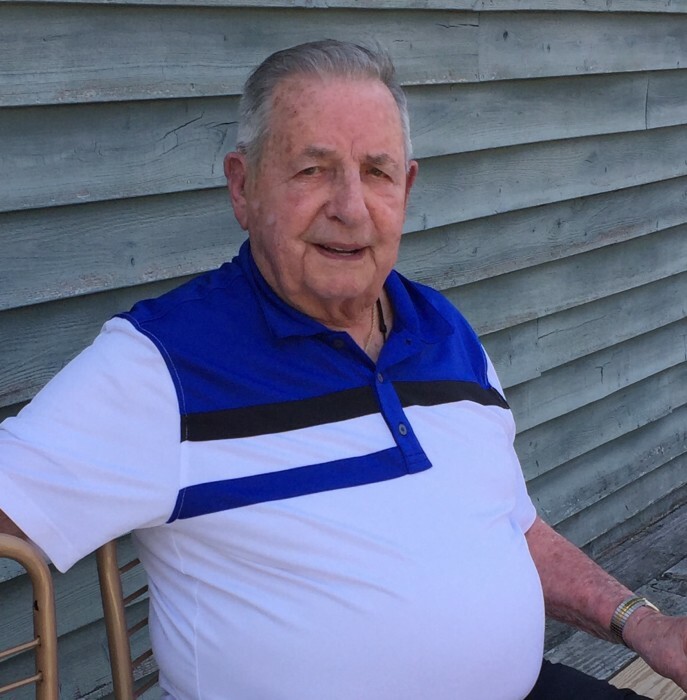 Southbridge...Albert S. Bellerive, 97, a lifelong resident of Southbridge, died at home Sunday, August 19, 2018, surrounded by his family. His wife of 69 years, was the late Pearl I. (Cantara) Bellerive, who died in July 2014. He leaves his son Marc Bellerive and his wife Mary of Southbridge, and daughters Marie Neulieb and her husband Paul of Lafayette, Indiana, and Louise Damian of Southbridge, 4 grandchildren Christine Neulieb, Peter Neulieb, Allison Bellerive, and Kathryn Damian, 5 great-grandchildren Charles, Monica, Claire, Emma, and Lyla Neulieb, and his sister-in-law Lorraine McNamara of Southbridge, and many nieces and nephews. He was predeceased by his brothers Armand (Pocko), Raymond, Robert, and his sisters Lorraine Kurowski, and Lillian Fournier. He was born February 13, 1921, in Southbridge, son of Armand and Irene (Potvin) Bellerive. He was a high school graduate, and was a member of St. John Paul II Parish (Notre Dame Church). He was a US Army veteran, serving in World War II, in the European African Middle Eastern Theater. He retired from Pratt & Whitney Aircraft as an industrial engineer. He enjoyed skiing, and woodworking, but mostly loved spending time with his family. The family would like to acknowledge the dedicated staff of the VNA of Southern Worcester County for their wonderful care. The funeral will be Saturday, August 25, 2018, from Sansoucy Funeral Home, 40 Marcy Street, Southbridge, MA with a Mass at 10AM at Notre Dame Church, 446 Main Street, Southbridge, MA 01550. A calling hour at the funeral home will be held prior to the mass from 8:30-9:30AM. Burial will be private. At the request of the family, please omit flowers, please consider a donation to St. John Paul II Parish, 279 Hamilton Street, Southbridge, MA 01550, or to the VNA of Southern Worcester County, P.O. Box 368, 534 School Street, Webster, MA 01570.